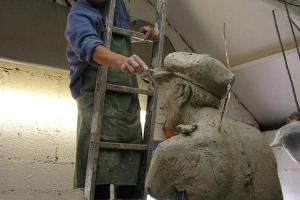 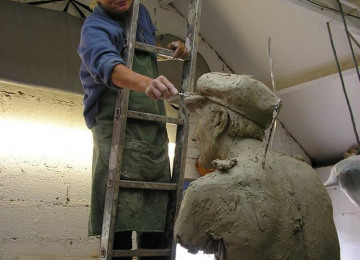 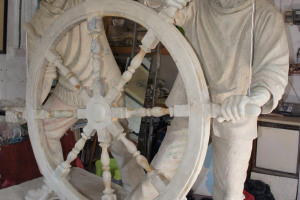 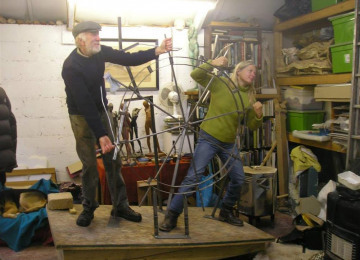 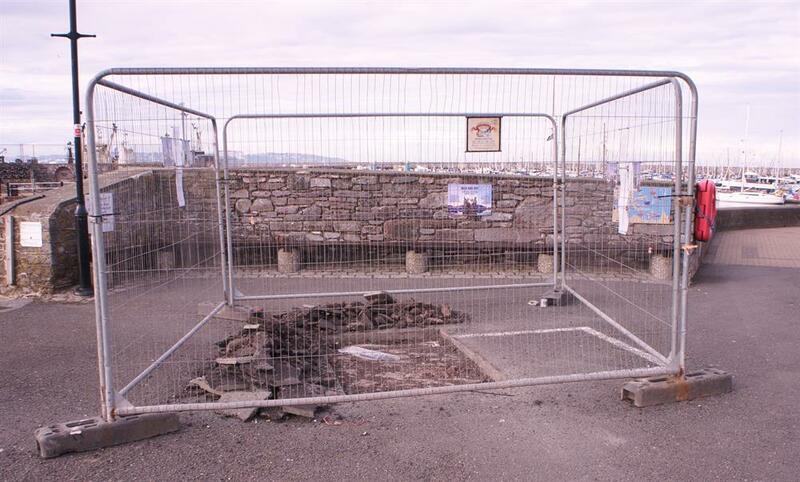 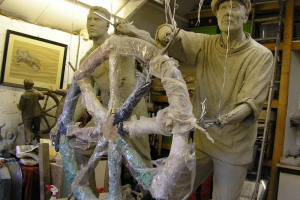 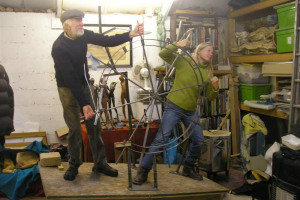 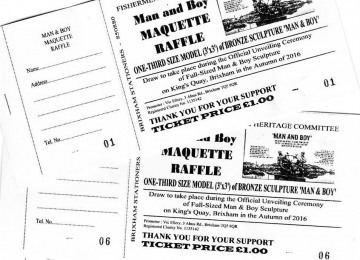 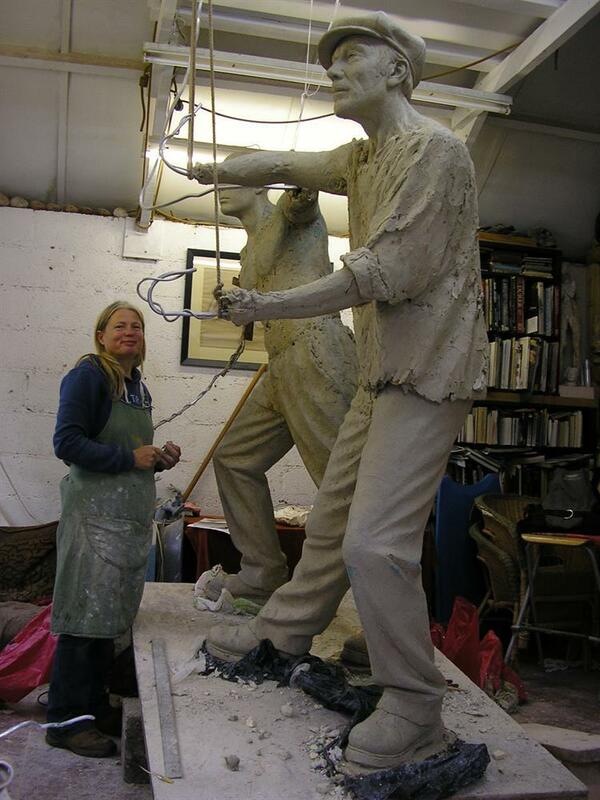 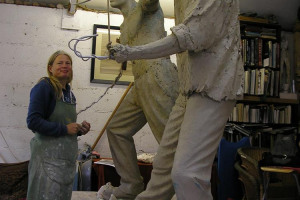 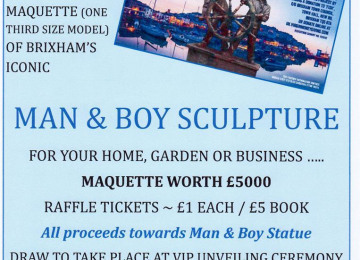 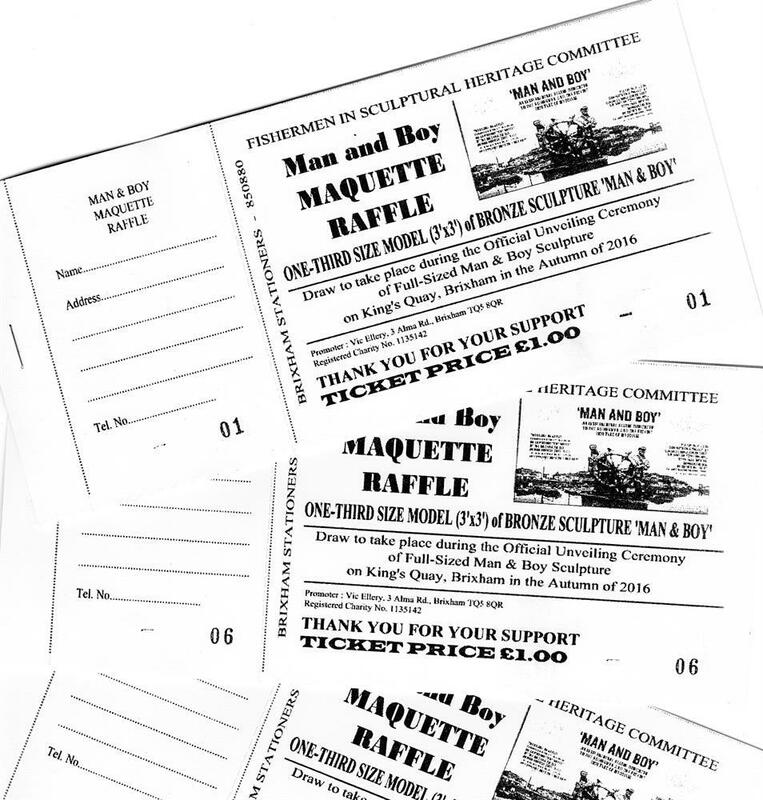 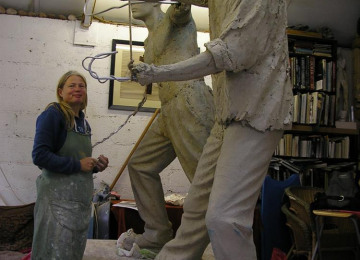 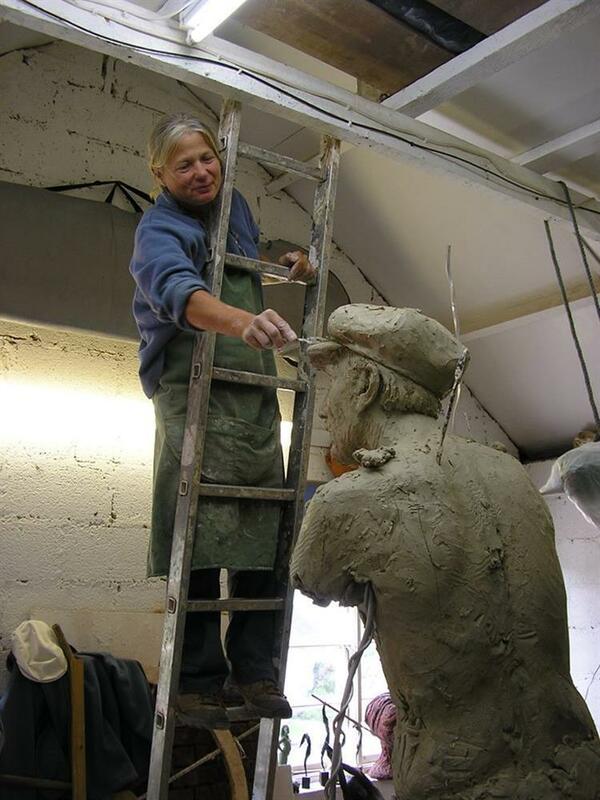 Charity Fishermen In Sculptural Heritage (FISH) want to place an iconic sculpture 'MAN & BOY' overlooking Brixham Harbour commemorating lives lost at sea and celebrating the port's fishing heritage. 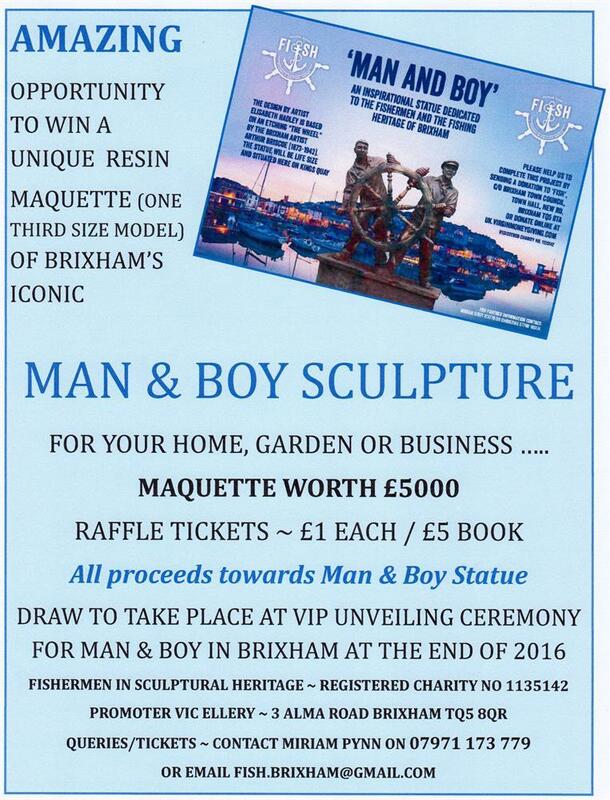 Lovingly created over many months by Brixham sculptress Elisabeth Hadley, Man & Boy will celebrate Brixham's proud fishing heritage but also offer visitors and residents alike a poignant reminder of the risks and challenges faced by the brave seafarers who bring home the 'silver harvest' in all weathers. 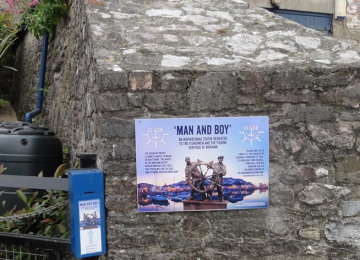 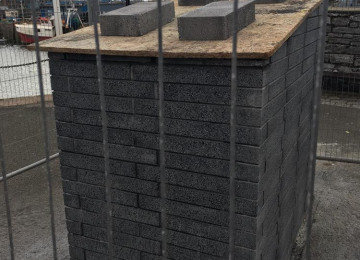 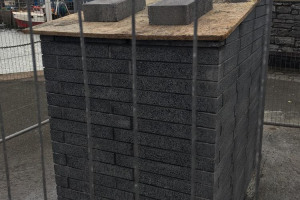 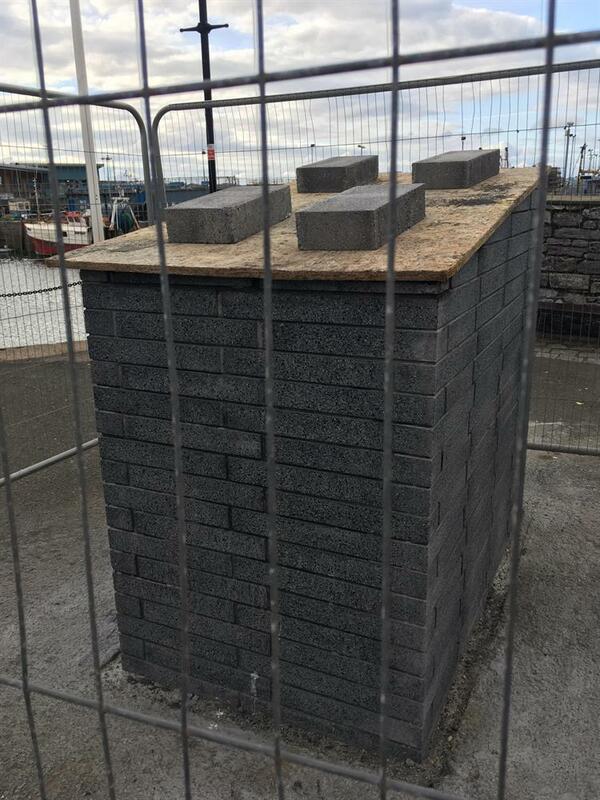 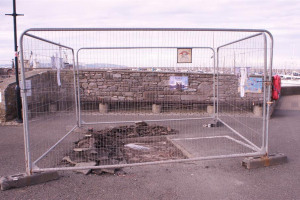 The voluntary committee and supporters have worked tirelessly to pay for the sculpture, rubber moulds and beautiful plinth (now in place on King's Quay) via numerous fundraising events; however, no public sector or heritage lottery funding is available for this project and we desperately need to raise the final amount for bronze casting to ensure Man & Boy is ready this autumn. 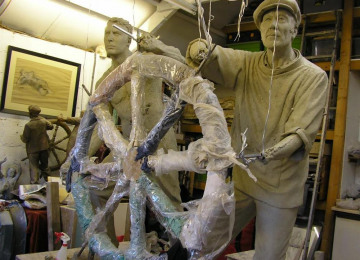 The mould is currently with the foundry in Wales, and this iconic and important community statue will finally be unveiled on 26 November 2016. 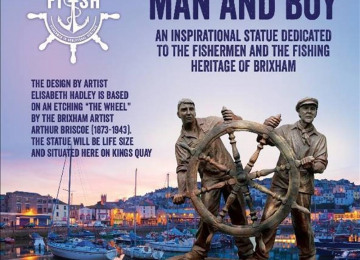 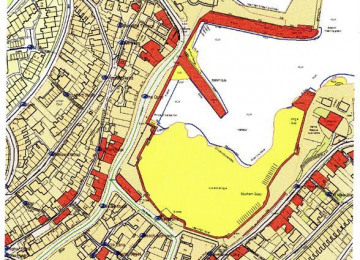 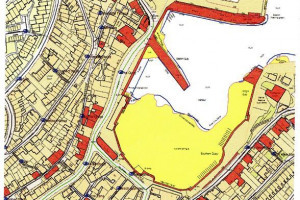 The work of FISH will then be done, and Man & Boy will stand on King's Quay where it will be seen from the inner harbour and returning vessels for centuries to come. 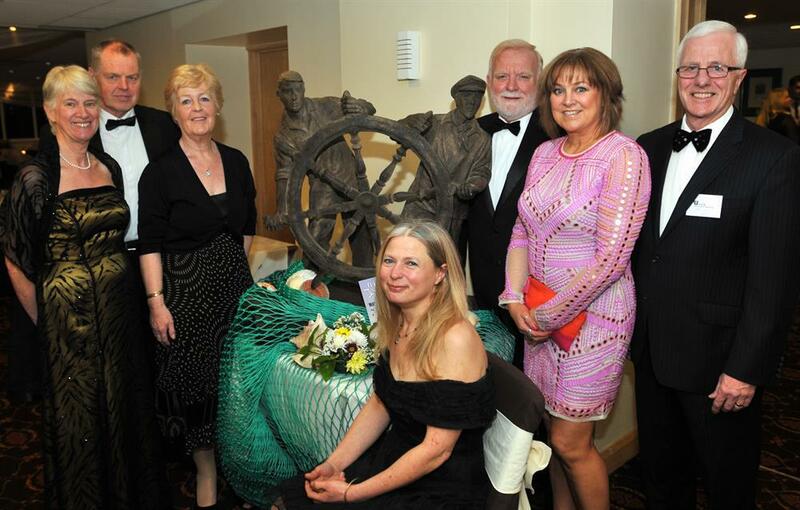 Back in 2007, former Fishermen's Mission Superintendent Len Scott remarked to local trawlerman's wife Miriam Pynn that it was unbelievable that an important port such as Brixham (known as the mother port of trawling worldwide) had no fishermen's statue like other ports around the world: FISH (the charity) was born, and the small but dedicated committee have worked tirelessly since to raise funds by all means - shanty evenings, fish suppers, glamorous balls, sponsored events, collections days, donation sales, raffles - you name it, the FISH supporters have done it! 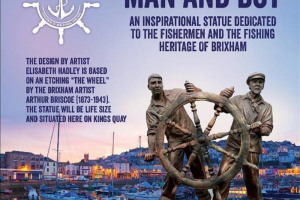 The stunning life sized clay sculpture is now a reality, and a high quality plinth stands ready on King's Quay in Brixham. 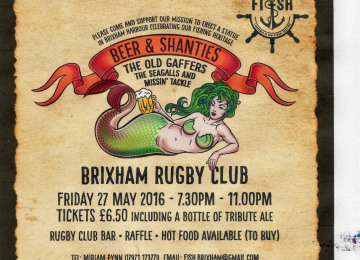 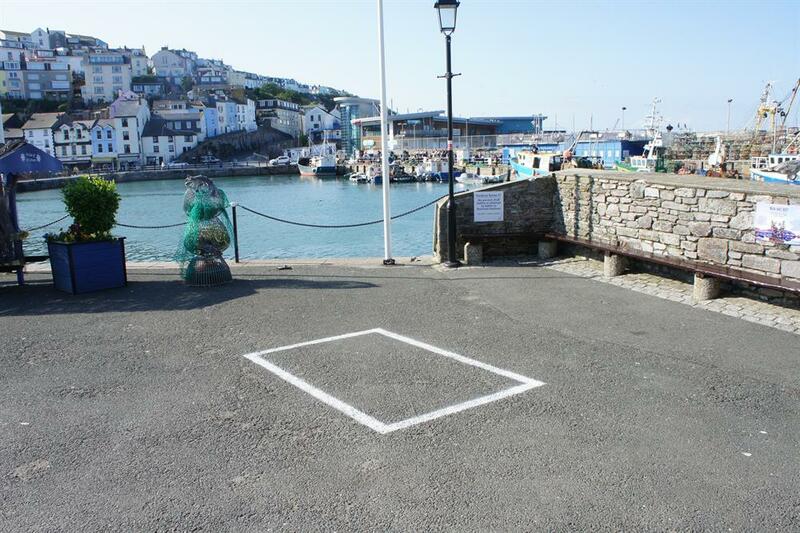 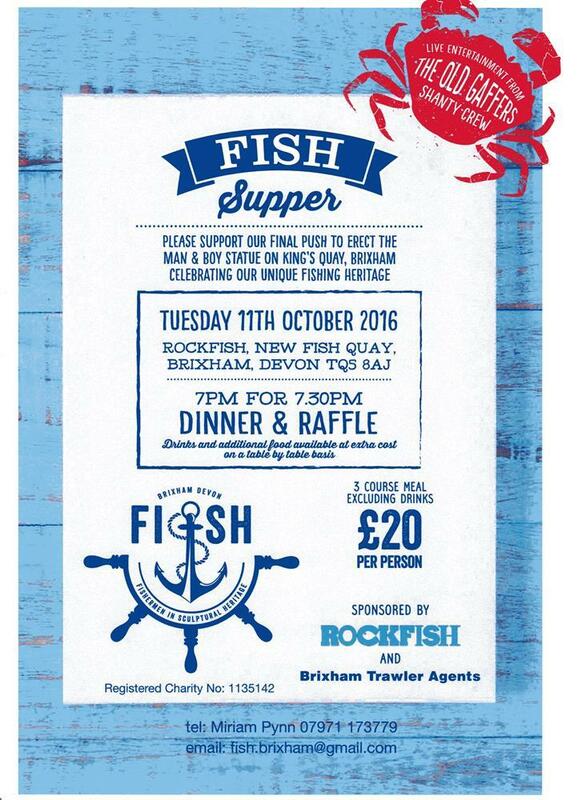 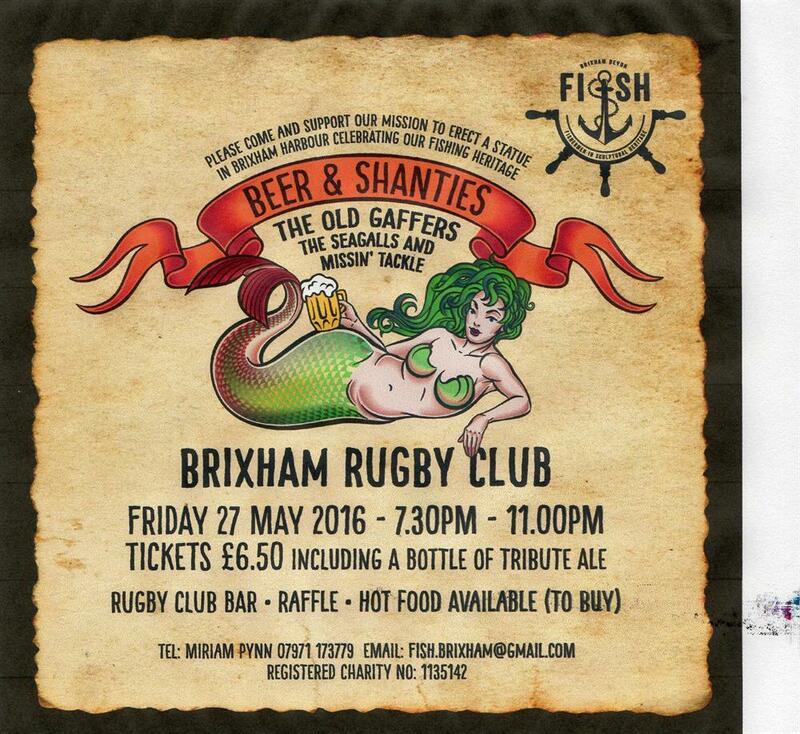 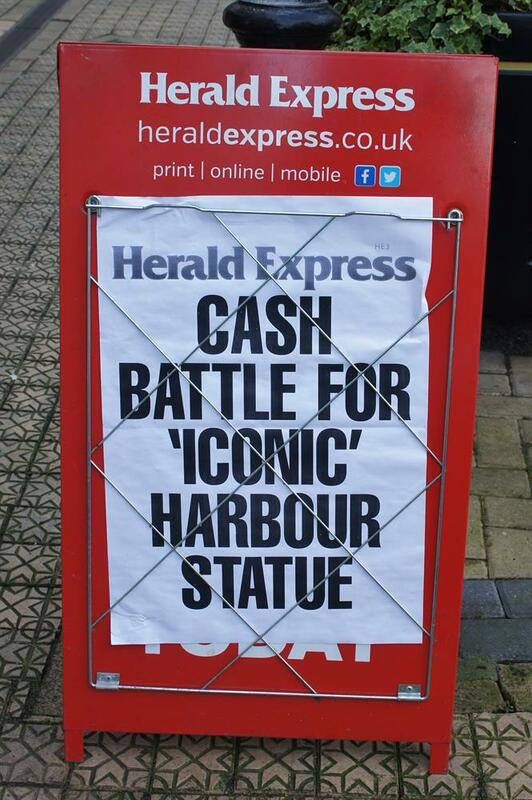 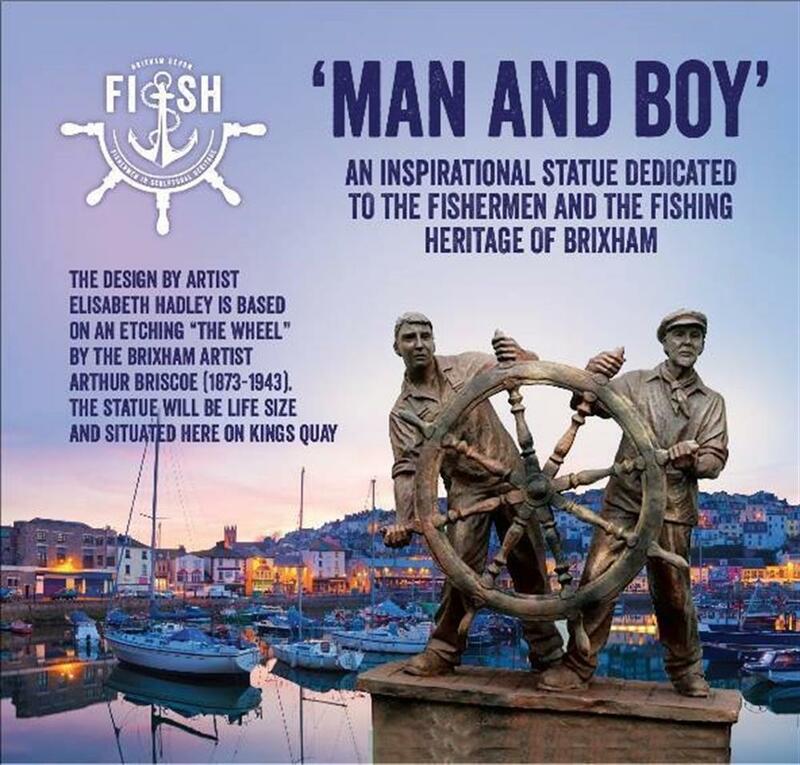 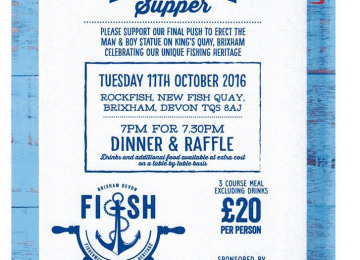 FISH now ask you to help us with our final push to place the iconic Man & Boy on the quayside, providing somewhere to celebrate Brixham's historic fishing heritage and allow grieving families somewhere close to the harbour where they can remember their loved ones lost at sea. 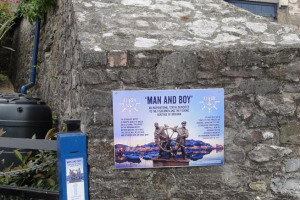 As well as celebrating important fishing heritage, Man & Boy will offer those grieving loved ones lost or buried at sea a space in which to pause and reflect. 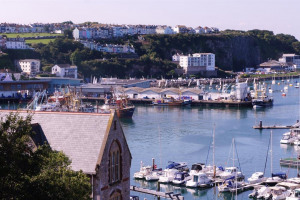 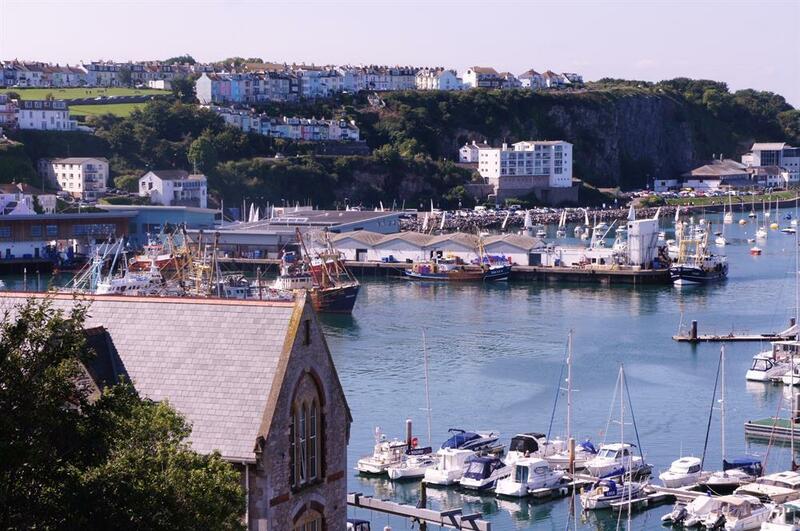 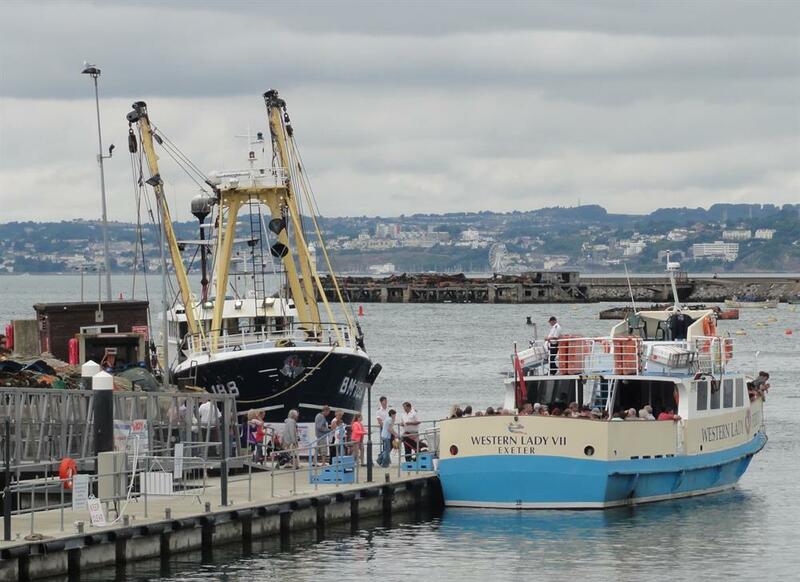 Brixham welcomes thousands of visitors every year, drawn to this working port to immerse themselves in the flavour of this fishing town so dominated by the sea. 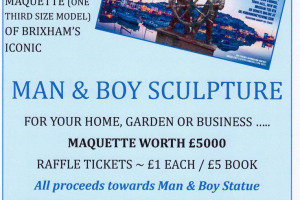 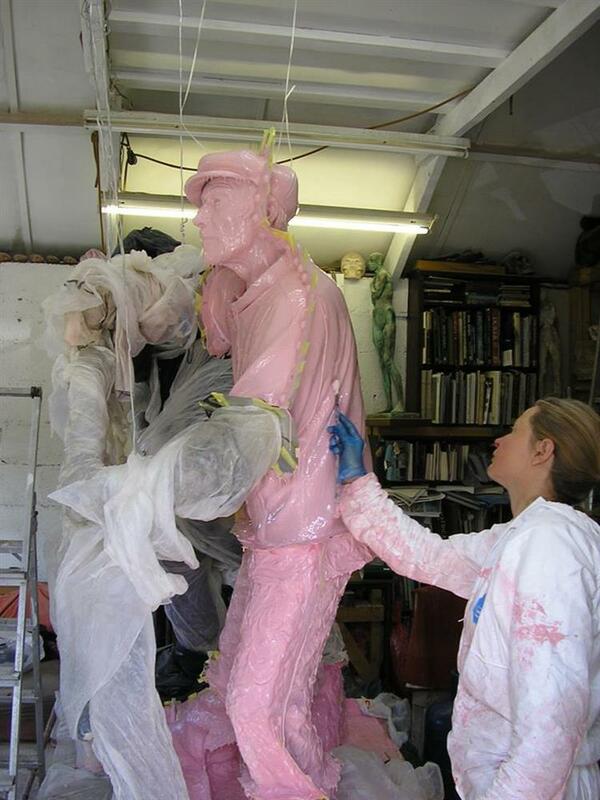 The Man & Boy sculpture - in its prominent position - will be enjoyed by all. 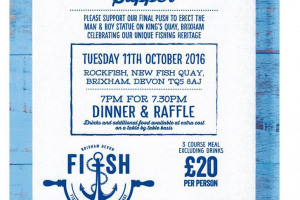 In addition, future generations of schoolchildren (residents and visitors) will have a landmark where education around the fishing industry and risks taken by our fishermen to put the nation's favourite seafood dishes on the table can be linked to reminders about safety at sea; almost all of the Committee have lost a friend or relative at sea, as have many local families: Man & Boy will stand not far from Torbay Lifeboat Station, near the slipway and marina, and overlooking the inner harbour where ocean going trawlers set sail daily - a vital feature of this historic, working fishing port. 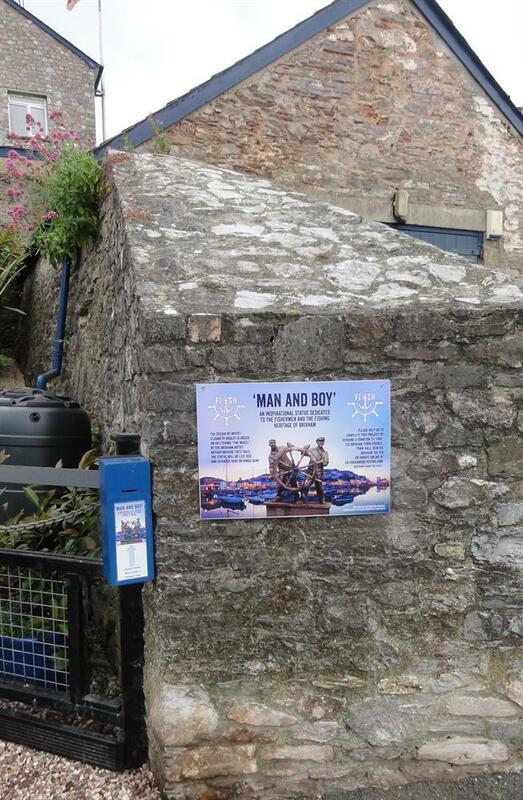 Man & Boy will stand on King's Quay in Brixham (a conservation zone area) overlooking the working and picturesque Inner Harbour where ocean-going trawlers are busy every day, delivering their catch to the Fish Market. 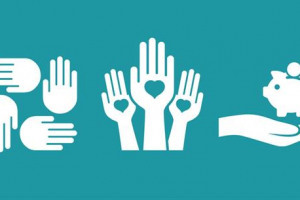 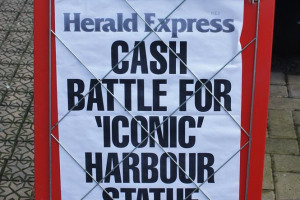 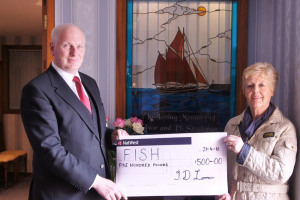 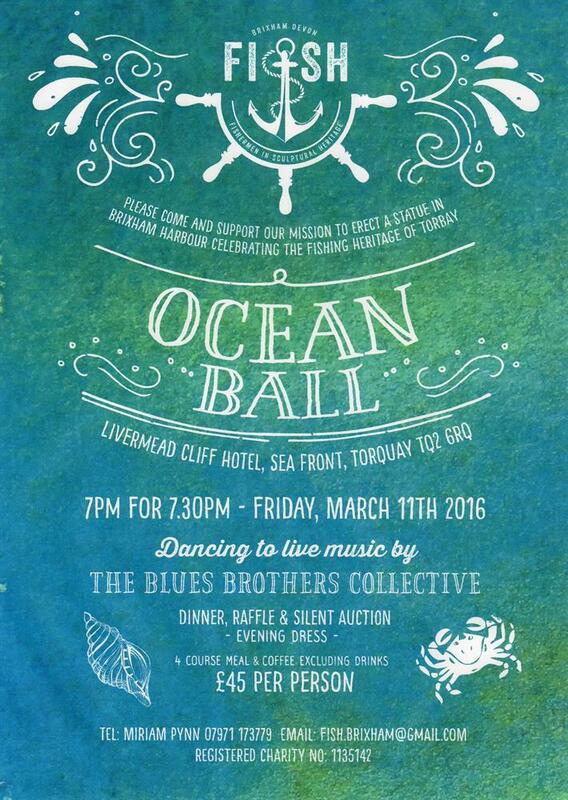 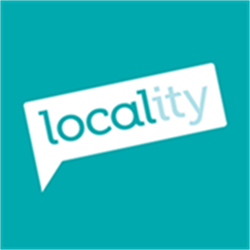 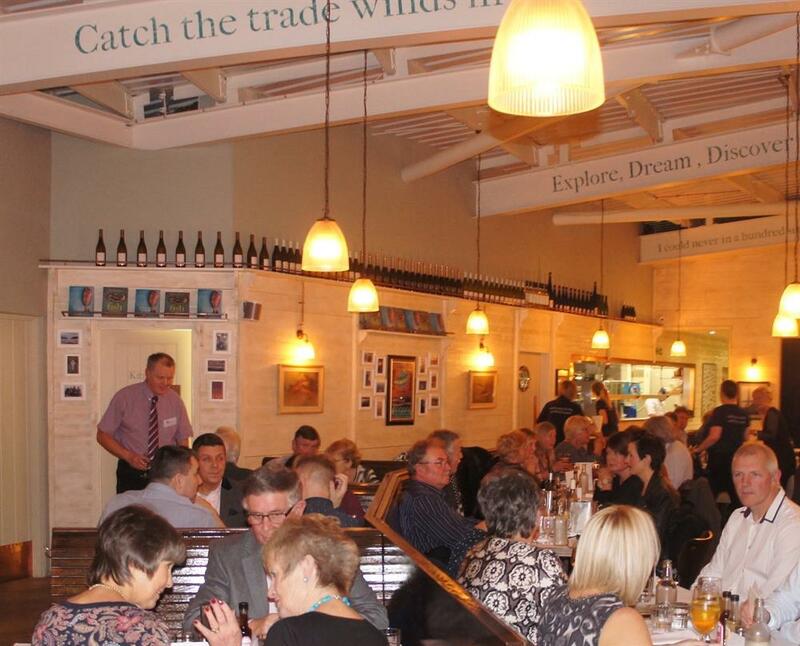 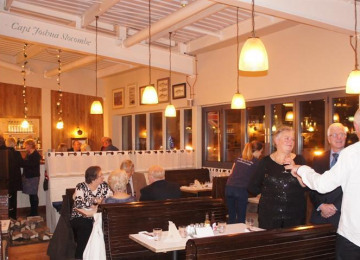 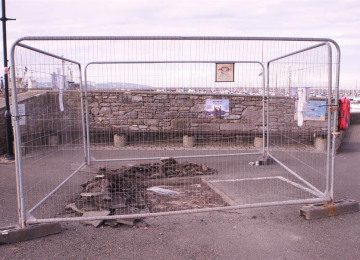 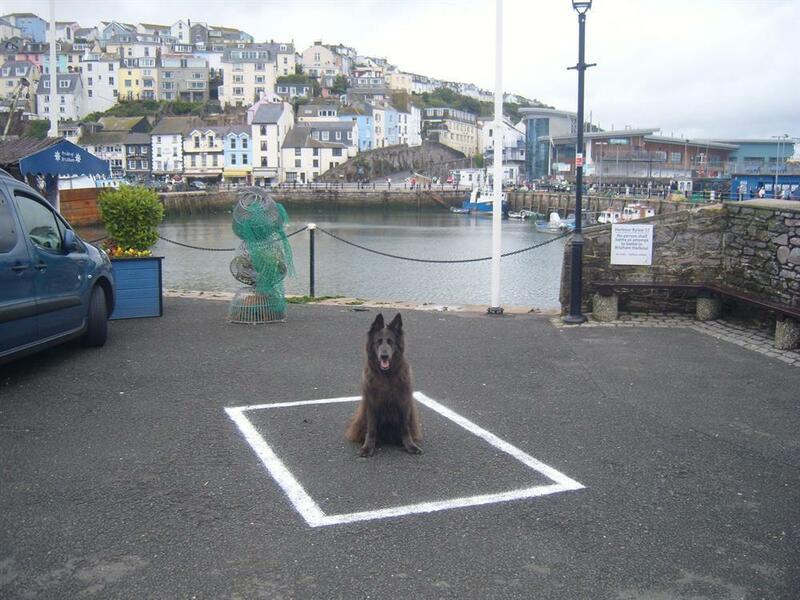 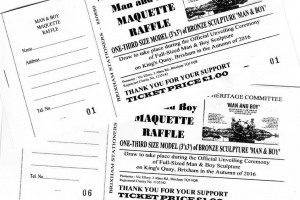 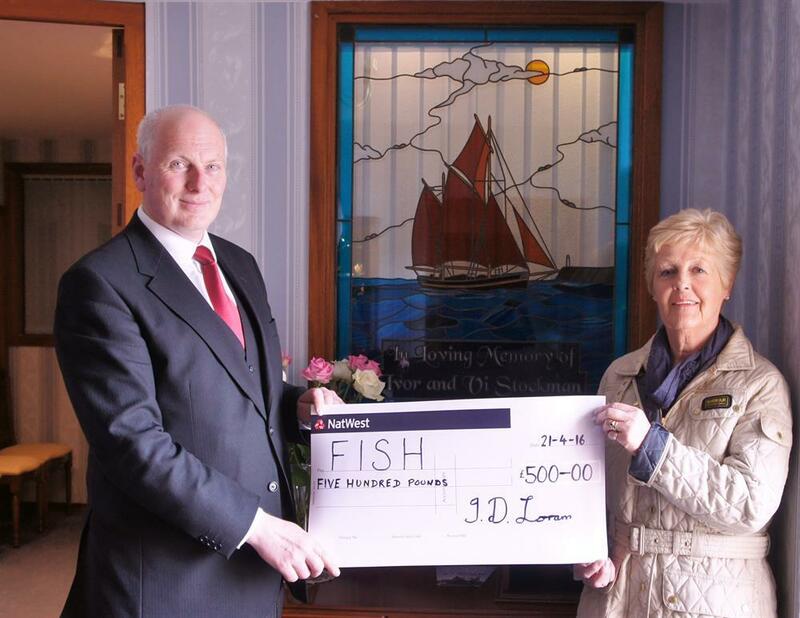 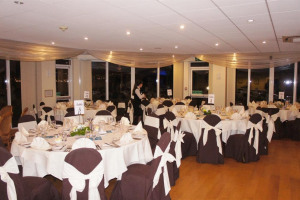 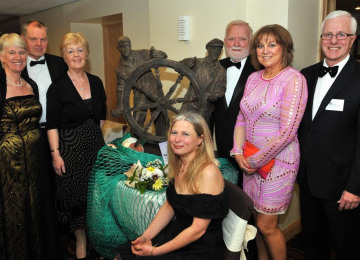 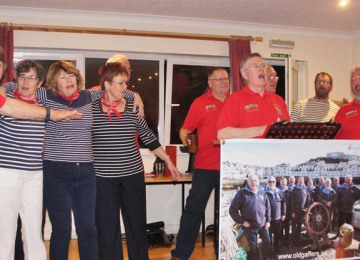 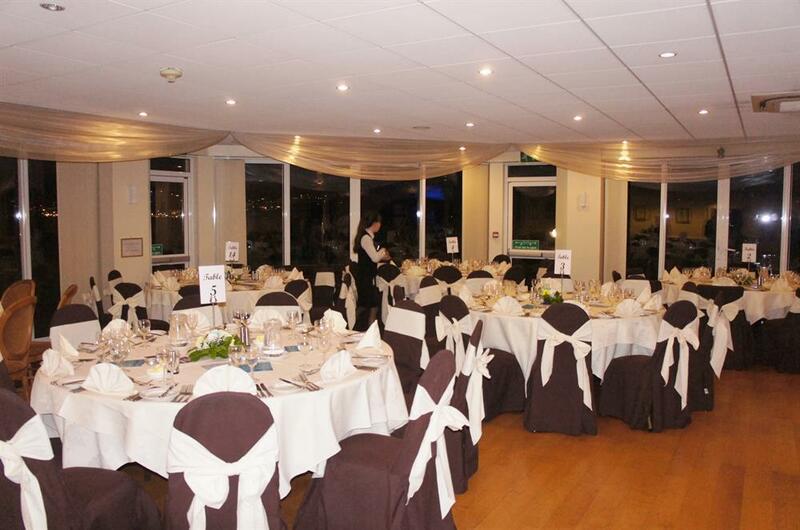 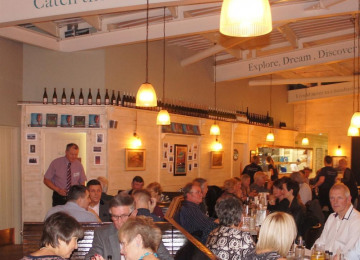 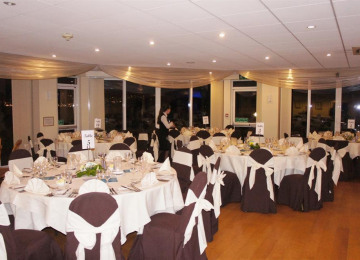 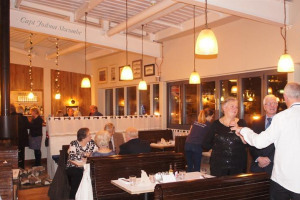 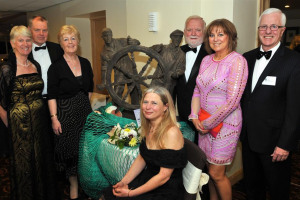 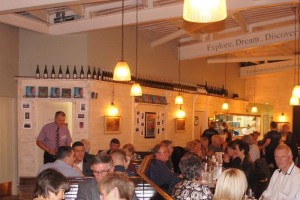 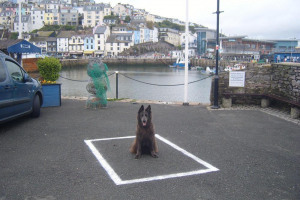 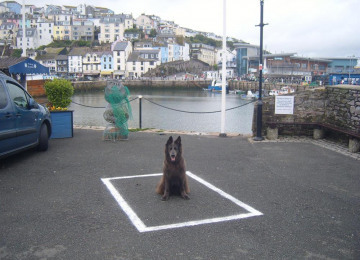 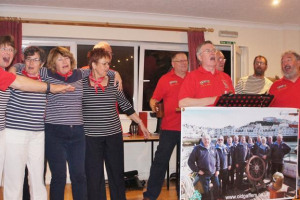 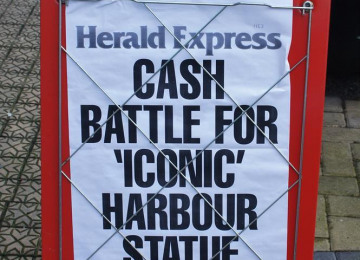 The charity was set up in 2007 to raise funds to create and place a permanent bronze statue on King's Quay in the fishing port of Brixham, Devon. Brixham (known worldwide as 'the mother port of trawling') is a thriving community where fishing remains very much the mainstay of the town, a fact marked by annual events such as the trawler race, Fishstock Festival and Lifeboat Week. 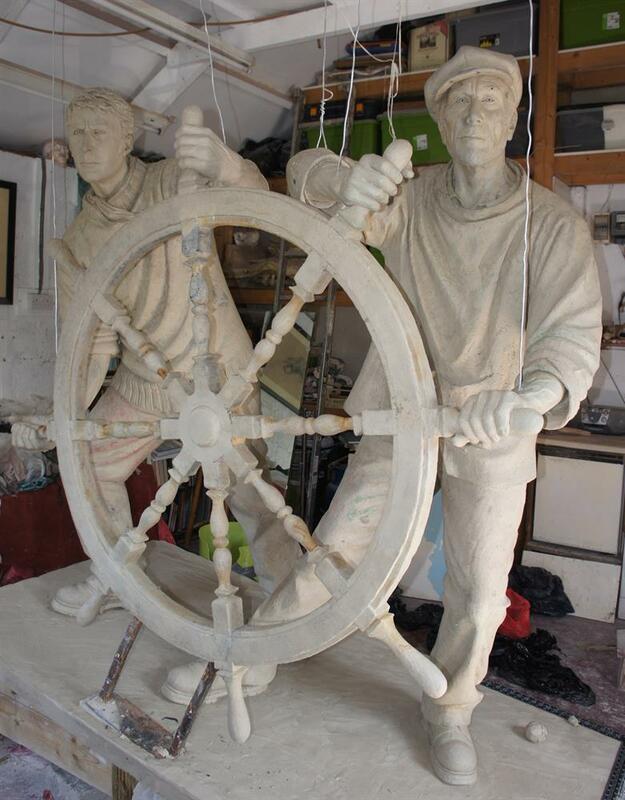 The statue will celebrate the port’s proud fishing heritage, but also - vitally - provide a focal point for families and loved ones to commemorate those lost or buried at sea. 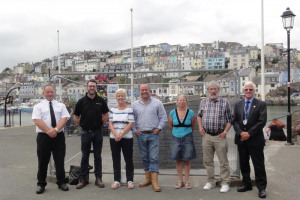 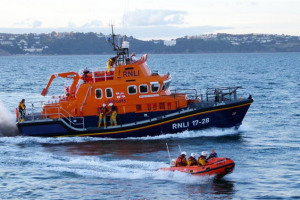 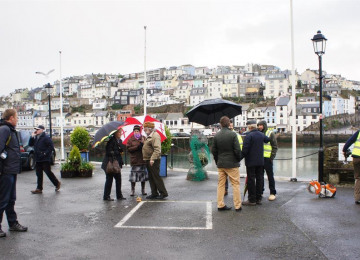 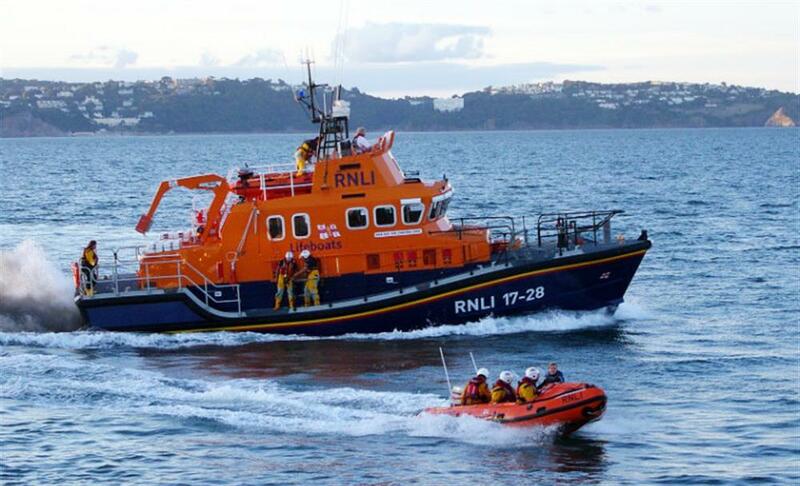 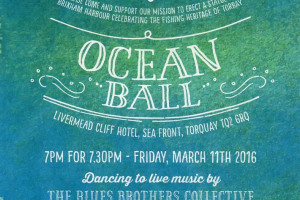 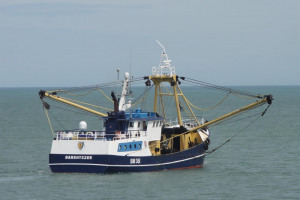 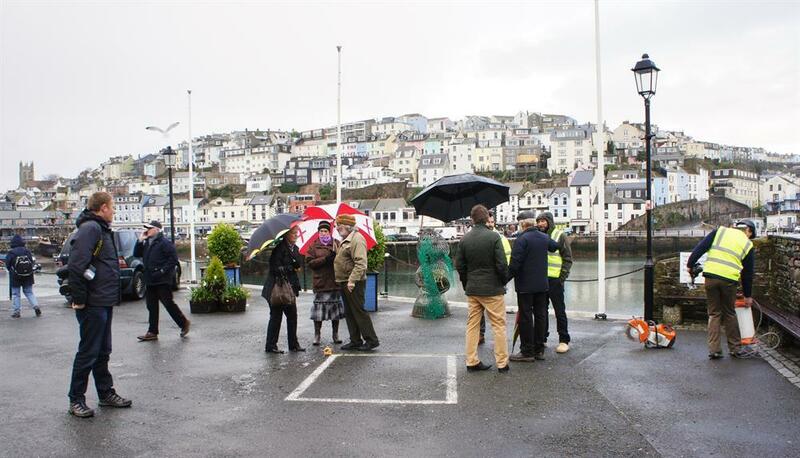 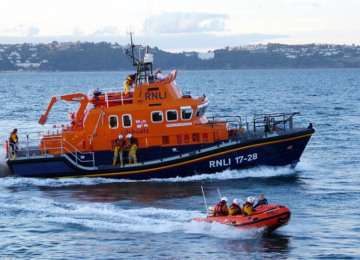 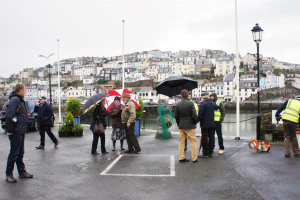 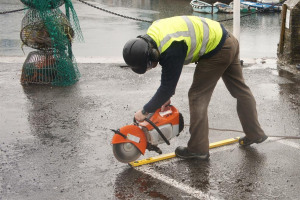 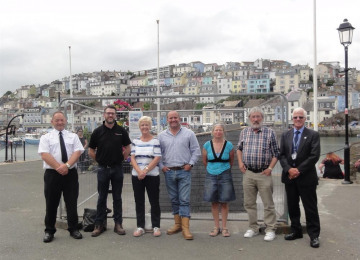 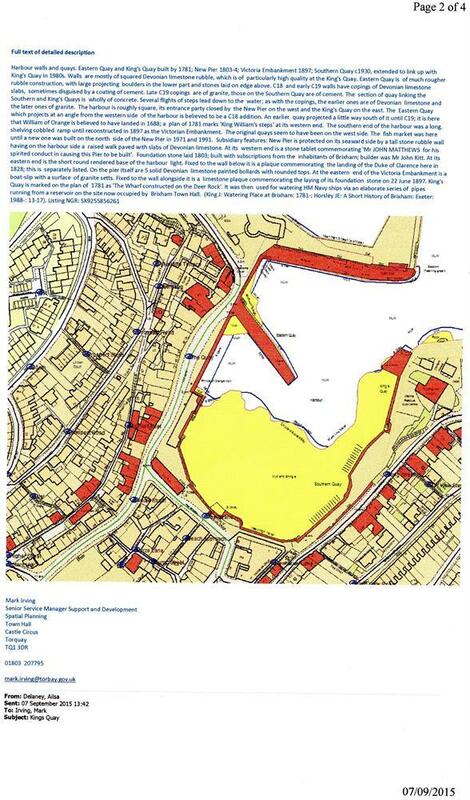 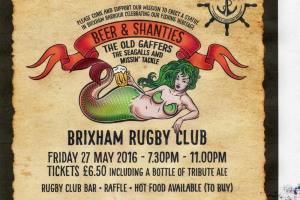 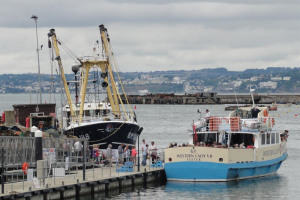 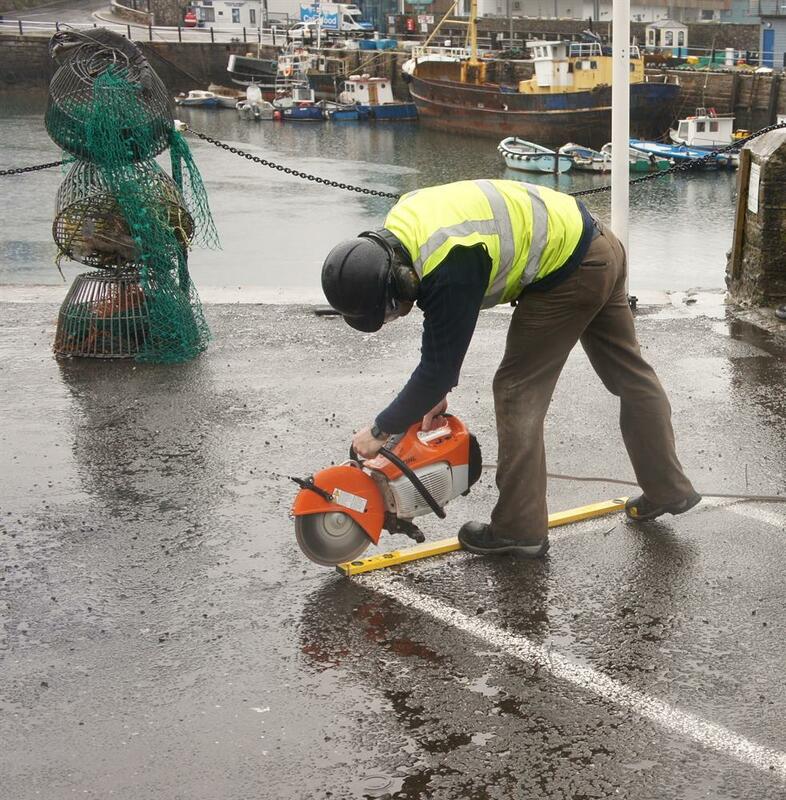 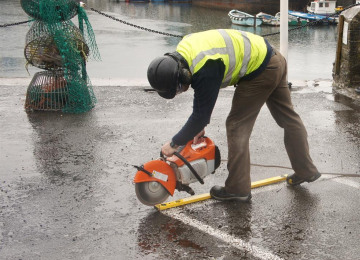 Anyone familiar with the coast will know that accidents and incidents happen all too frequently, and it is vital that an important fishing community like Brixham should have a civic focal point to mark such events. 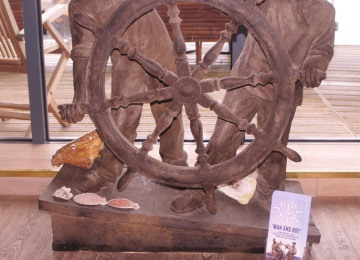 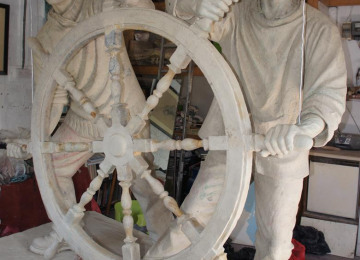 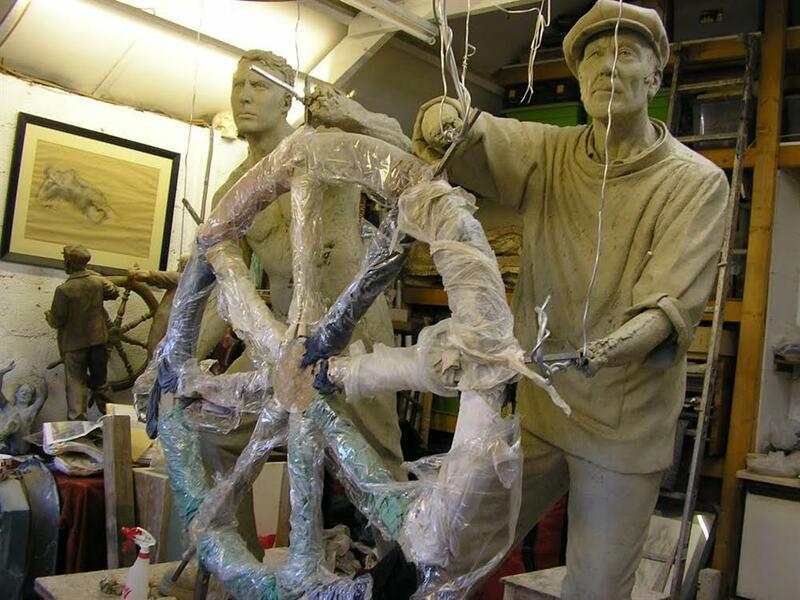 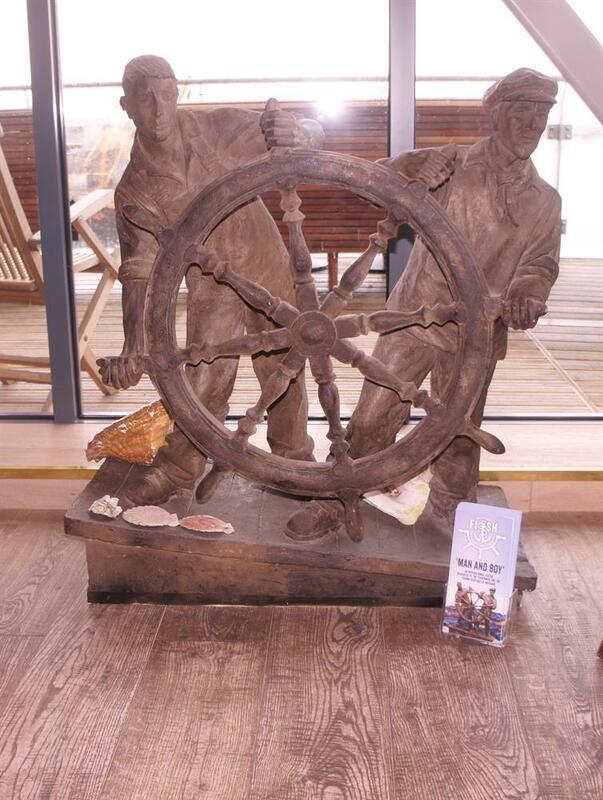 The amazing life-sized bronze (depicting two fishermen either side of a ship's wheel, and shown in our logo) is based on an etching by Arthur Briscoe who drew Brixham fishermen at work in the 1900s from the decks, and provides a fitting tribute to those who work at sea to bring home the 'silver harvest'. 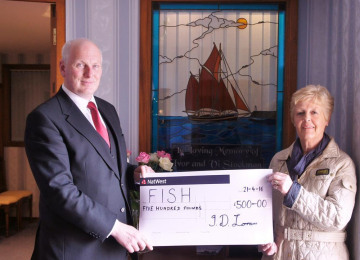 Project Delivery Manager: Vic Ellery The Project Delivery Manager takes legal responsibility for receiving and spending the funds raised and ensuring the project is delivered.